RUSH: I knew this was gonna happen, and I’m glad it did. I got some emails during the break. “Don’t you think you’re not being honest with yourself and with us? Don’t you think Trump’s in big trouble? Don’t you think this election really means that? You can’t look at out over America and think everything’s rosy.” Did I say everything’s rosy? All I said was there is no anti-Trump wave that you can peg to the Virginia or New Jersey elections. There is no anti-Trump wave. It’s totally manufactured, folks. Don’t fall prey to it. I know how easy it is to fall prey to it. I’m asking you to (chuckles) resist it. You know what really ticks me off? I went through these numbers. Let me go through this again. This anti-Trump wave is a fabricated lie. Here are the numbers again. Donald Trump won 30 states; Hillary Clinton won 20. Donald Trump did not win Virginia. So there was no “loss” in Virginia on Tuesday. In other words, we didn’t lose something we had. We lost the election, but we didn’t lose something we had. Here are Democrat losses since 2010 under Barack Obama: 12 governorships. That number doesn’t change with Northam winning in Virginia. The Democrats are still down 12 governorships. Sixty-two seats in the House of Representatives the Democrats lost, nine Senate seats, 958 state legislators. And if you start talking about mayors and town councils? If you keep going down the ballot, you’ll get to a number between 1,300 and 1,400 that the Democrats have lost. What ticks me off is that we have been defeating the left at the ballot box for 10 years now, folks. Obama aside. I mean, the president’s machine and so forth, we didn’t have any hope. We didn’t have… The two candidates we ran against Obama never had a prayer, McCain and Romney. But outside of that, we have been defeating the left at the ballot box, which means Republicans have benefited from their voters putting them in power. And what do we have to show for it? We’re exhausted! After 10 years of winning, how many of you still feel like you’re on the losing side because of the way your elected representatives act? That’s what ticks me off. We’re exhausted. Ten years, no results! Now, the Senate Republicans are torpedoing tax reform. The stock market’s down 200. “Yeah, we’re gonna delay these corporate tax cuts until 2019. We don’t want to phase those in.” This is pure Trump sabotage what’s going on — and, if it’s Trump sabotage, it’s you being sabotaged, you who voted for him. That’s what ticks me off. There’s no reason Democrats ought to be up and dancing. They didn’t win anything! They stopped the bleeding is what happened in Virginia. That’s the honest way to look at it. Now, look. I know full well how easy it is get caught up in the media narrative, because it’s oppressive. It doesn’t stop. The media doesn’t show you anything positive. Look, Trump’s trip in China, Trump’s trip to Asia is a grand-slam home run. They’re not televising it. There’s not a single network that televised Trump’s arrival ceremony in China. There’s not a single network that televised all of the ChiCom children waving the American flags. There are more ChiCom children waving the American flag than we have NFL players waving the American flag. ChiCom kids are waving the American flag. They’re happy to see President Trump. President Trump, as I said yesterday, is representing the United States from a position of strength. The world needs it, the world celebrates it, the world wants it, and Trump is providing it. Now, they’re trying to sabotage Trump by saying, “He’s doing a 180. Now all of a sudden the ChiComs are his best friends. Remember during the campaign he accused them of cheating and this and that and the other thing,” and you got Bill Clinton out there. Bill Clinton is now saying that Donald Trump is on way to creating a dictatorship through the lies that he is telling. Bill Clinton, of all people, talking about a dictatorship! That’s beyond the pale. But that’s what’s happening. These people know they’re losing, folks. This is the thing about them. They know they’re losing and their media knows, in terms of these elections. But they know how to act the exact opposite way. Their media analysts on TV and their anchors and their hosts know how to act like they’re the majority, that they’re the cool kids and that they’re this and that. But they are the ones losing. Can we go back the audio sound bites, the Grooveyard of Forgotten Audio Sound Bites, November 8th of 2016. 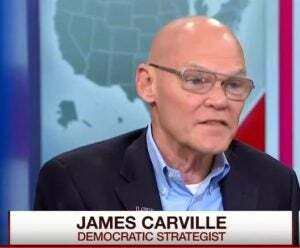 CARVILLE: You gotta realize, the Democratic Party has the least amount of power that you can imagine in this democracy. The Republicans have like 30 state legislatures, governors. We’re gonna lose the federal courts, the Senate, the House, the presidency. I mean, it is a(n) utter disaster if you’re a Democrat in terms of having any political power in the country right now. Just one year ago. Now, let me ask I something: What’s changed? Honestly, folks, don’t tell me attitudes, don’t team people hate Trump. Trump hatred’s been out there from June of 2015. What has changed? Nothing. Republicans have won every special election. They didn’t win Virginia. I think there was a lot of people hoping that the trend would continue, but it didn’t. But there isn’t any change of any substance. What change there is is an attitudinal change created by media narratives that is designed to portray Republican Party as where the Democrats are. And that’s the rub. We have been defeating the left for 10 years at the ballot box. We have been swamping ’em. They’re down 1,400 or 1,300 seats, and what is there to show for it? As I say, now the Senate is trying to torpedo the tax reform plan coming out of the House — and by the way, there are some conservatives who are not really impressed with the House tax bill anyway in terms of its conservative bona fides. We had a caller in the last hour who has a theory. She’s a political junkie, and she was reminding everybody how red Virginia used to be. It used to be a dyed-in-the-wool Republican state — and then all of a sudden, it started getting blue. It started getting blue around Charlottesville, University of Virginia, and it started getting blue in the D.C. suburbs and the northern part of the state. She made the observation that it’s not people in Virginia whose minds changed. It is newly arrived people from other parts of the country, predominantly liberal parts of the country — the north and Northeast — and they are fleeing liberalism. They’re fleeing high taxes! They’re fleeing high property taxes. They’re fleeing traffic. They’re fleeing municipal, absolute discord. They’re fleeing bad weather. They’re fleeing freezing cold “in the midst of global warming) and when the arrive in these new states they immediately start polluting these states with their madcap liberalism, and the Republicans have ignored this. 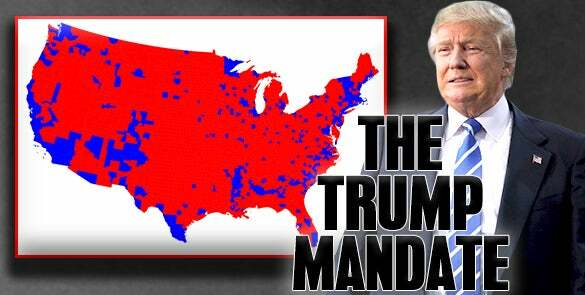 The Republicans have not even had a plan to deal with what this really — this is an infiltration of liberals from the north moving south for whatever reasons, and they’re turning these states to which they’re moving simply by virtue of numbers into liberal enclaves. Certainly parts of the states are becoming liberal enclaves. Virginia and North Carolina are two of the noteworthy states where this is happening. They were governed by Republicans who made creating jobs and low-tax environments their identities. But nobody’s talking to these people but the leftist media. So what we have is a number of factors here that, combined with media narratives, make it look to you, if you pay attention to the news, like the Republicans are losing left and right or, forget that, like Trump is losing left and right and that Trump’s voters are abandoning him, and there isn’t any evidence of that whatsoever. You think the Democrats would have this little to show for 10 years of such dramatic election wins? I hardly think so. And of course what it boils down to is establishment Republicans versus every other Republican and conservatives throughout the country. There’s a big disconnect and there’s not much in common. And so we win, and you know the drill; Republicans win by virtue of campaigning as conservatives or candidates that are gonna implement things their voters want, then they win and get there, and all of that stops. And, if anything happens, little bits and pieces of the Democrat agenda anything are what get implemented, or elements of the Republican conservative agenda get chipped away, ignored, and never entered into the arena, even after all these massive wins. This is what ticks me off. RUSH: We head to Philadelphia. Lisa, great to have you with us today on the EIB Network. Hi. CALLER: Hi, Rush! I’ve been a longtime listener since 1994. I am a little nervous right now. But I wanted to let you know that I am a naturalized citizen. I became a citizen, joined the military. I’m a deplorable that lives in Pennsylvania and cried the night that Trump won. RUSH: Well, welcome. That’s fabulous. You’ve been listening since 1994, did you say? RUSH: Well, I thank you very much for that. That’s awesome, Lisa. Where are you from originally? RUSH: Excellent. Well, we’re glad you’re here. What’s up? CALLER: I just wanted to tell you, in case I lose you I’m driving to work right now, but I wanted to let you know that I’m really nervous that I just heard the Senate’s version of the tax cut, and it’s worse than the House. 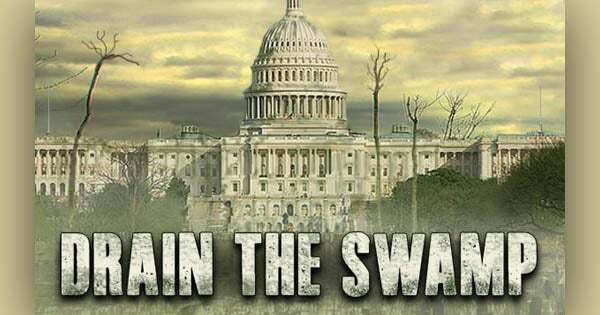 And I truly believe that they’re going to sabotage and make Trump fail, the establishment Republicans and the rest of them, because he’s a threat to the country the way they want it to be. It’s like, for instance, I come from Panama and, you know, for some reason folks who move here tend to want to recreate what they left behind. RUSH: Yeah, I know what you mean. Rather than becoming Americans, they want to Balkanize, and that is one of our current immigration problems, if I understand what you’re talking about. Have I got that right? CALLER: It’s just depressing. I’ve even seen the change in the past 30 years. I’ve seen it change since we moved here, and it’s really unfortunate. It’s actually very depressing. RUSH: Well, look. I don’t want to be overly simplistic about it, but you can thank the Democrat Party for that. RUSH: The Democrat Party does not want assimilation with a great American culture ’cause they don’t think that it is. CALLER: America is the greatest place in the world, and it’s disappearing. RUSH: No. America’s an imperialistic, egotistical, racist and sexist slave state. Her theory is that all of this is being done to sabotage the whole bill so that it doesn’t pass, in order to depress support for Trump or to give people less — I think what their thinking is, if I may be so bold, let’s accept your premise, as a hypothetical. Let’s say you’re right, Lisa, that the Republicans in the Senate — let’s just stick with them for now — are purposely trying to see to it this bill doesn’t pass because they want to send a message to Trump voters that whatever Trump wants, we’re gonna make sure he doesn’t get. You’re gonna have to realize that you’re not gonna get what you want as long as you stick with Trump because we’re gonna make sure it doesn’t happen. That’s what they want the reaction to be. They want you to think that Trump is the problem. They want you to think that they would do all of this if it just weren’t for Trump, but Trump is so dangerous and Trump is a pig and Trump is an outsider. They want you to abandon Trump. They are miscalculating who is going to suffer or who will pay the price for this. Now, this leads me in — I’ve not got enough time to develop this. Lisa, thanks for the call. I appreciate it. I got an interesting email during the last break, and in the next segment I want to run it by you. You don’t need to call me about it; I just want you to listen to what this email says. I’m gonna paraphrase it ’cause it’s kind of convoluted but I know what they’re saying. And see how many of you think there’s something to this. Essentially it is, “Rush, if Trump were truly a good president, then he would have by now converted some of these people that hate him, and there wouldn’t be so much divide or partisanship. And so in that sense, Rush, maybe Trump isn’t the guy,” is essentially what this email says. There’s a little bit more in it, but that ear-splitting tone was coming. I had to get what I could in before that.